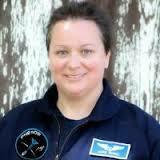 Jamie Guined is the Founder & Executive Director of the SeaSpace Exploration & Research Society, Inc. The mission of SeaSpace is to further the advancement of the human exploration of the ocean (sea) and space through the development of innovative and multi-disciplinary solutions that are applicable to both environments, while promoting the responsible use of each frontier through targeted education, public outreach, and conservation programs. Prior to moving into the commercial sector, Jamie served as an Exercise Scientist with the University of Houston supporting research at the NASA Johnson Space Center. Jamie holds a bachelor’s in Exercise Science/Wellness, a master’s degree in Health & Physical Education, a Master of Business Administration, and is currently completing a master’s in Health Science and a master’s of Aeronautical Science. Jamie has authored and/or co-authored numerous peer-reviewed scientific journal articles, and has also contributed chapters to mass produced books as well as major reference works. Jamie is also a Fellow of the prestigious Explorers Club, and travels frequently to present at professional conferences in the aerospace and marine industries.